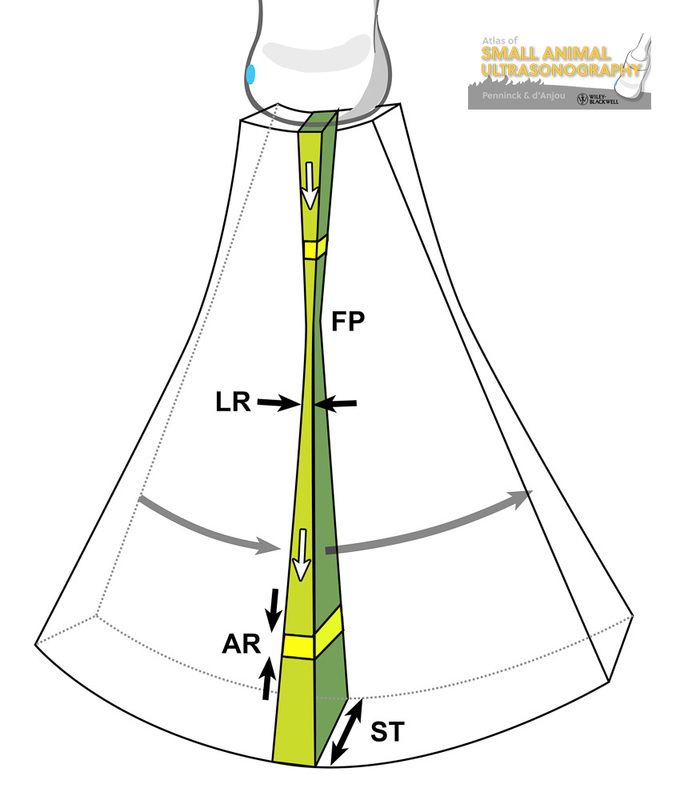 Figure 1.6 Shape of the ultrasound beam in depth. The ultrasound beam is larger at its emission point (piezoelectric elements) before narrowing at the focal point (FP), and becoming larger again further in depth. This change in shape affects the lateral resolution (LR, i.e. beam width) and slice-thickness (ST, or elevational resolution), but does not affect the axial resolution (AR), which is dictated by the pulse frequency that remains constant in depth. Generally, the axial resolution is superior to the other resolutions. The white arrows represent the path of each pulse line, which is repeated along the grey curved arrow to cover the entire field. The small yellow cubes represent the volume of tissue that is scanned successively to acquire individual echogenicities translated into pixels of variable brightness on the monitor. Note the change in size and shape of these voxels modulated by the size and shape of each ultrasound pulse line.